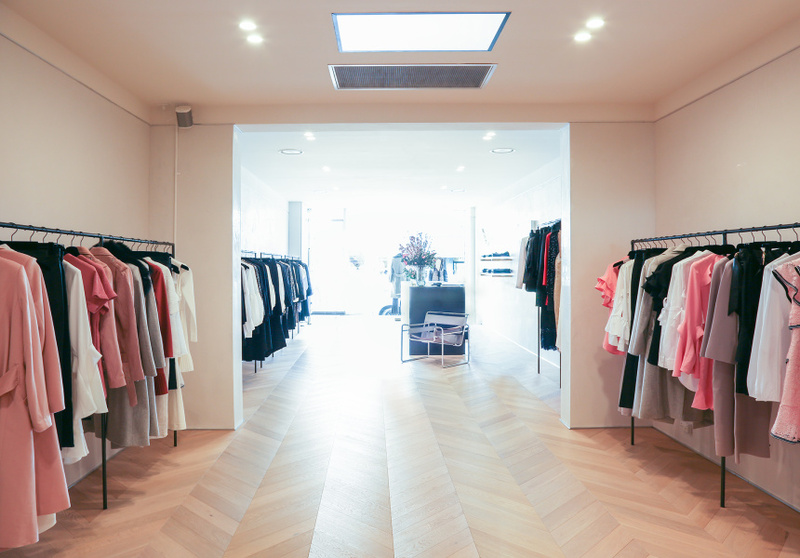 Designer Rebecca Vallance unveiled her first Melbourne boutique in Armadale in August 2017. 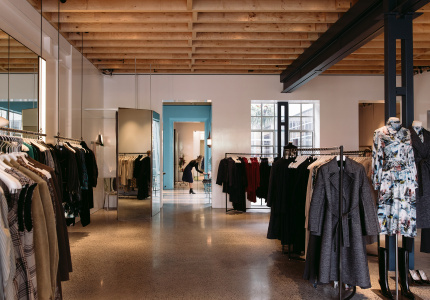 The 100 square-metre space – full of blonde timber – is the designer’s biggest boutique yet. 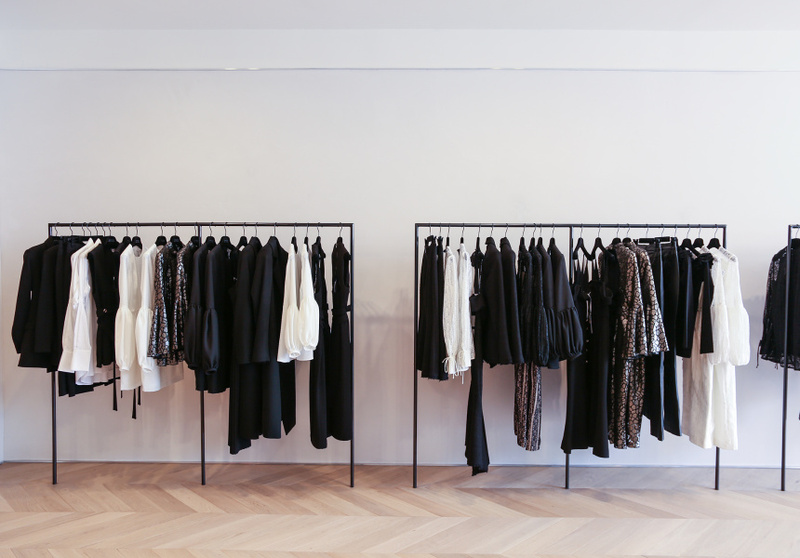 Vallance, who is originally from Melbourne, focused on a global reach and audience since day one. She first launched in London in 2011 and showed her first collection in Paris. The designer also produced a capsule collection for Net-a-Porter and counts Harvey Nichols, Harrods and MyTheresa as international stockists. Alongside coats and well-cut blazers, Vallance’s signatures are dresses and outfits ideal for parties and red carpets. Celebrities including Rachel McAdams and Halle Berry have all been spotted in the designer’s modern, feminine dresses. Interior designer Shareen Joel took care of the Armadale fit-out, showcasing the designer’s range in a warmly lit room featuring herringbone flooring and peach wool herringbone curtains.